Corporate Leadership Council members are invited to this exclusive virtual learning forum discussing successful strategies to tap into talent with disabilities on campus. Join us for an interactive chat with Alan Muir, Founding Executive Director, Career Opportunities for Students with Disabilities (COSD) and Marilyn Mackes, Executive Director, National Association of Colleges and Employers (NACE). Mr. Muir co-founded Career Opportunities for Students with Disabilities (COSD), and with the support of U.S. Department of Labor funding in 2001, became Executive Director. COSD connects employers, colleges and universities, and students with disabilities who are seeking careers through its annual events. NACE counts more than 3,100 employing organizations and educational institutions as members. Since 1997, Ms. Mackes has led the organization’s work to serve as a leading resource on employment and salary trends, benchmarking and best practices, candidate expectations, and effective recruiting strategies. 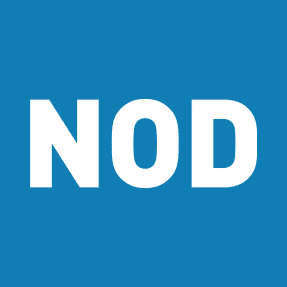 Mr. Muir and Ms. Mackes will discuss leading practices and share insights from the 2016 NOD Corporate Leadership Council Annual Forum, “Reimagine Recruiting”, where employers, campus professionals and students gathered to discuss how to connect graduates with disabilities to meaningful careers.